Tendon boots in smooth leather, great protection. 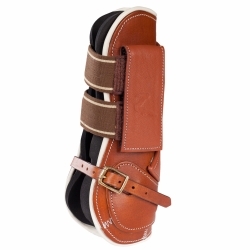 Elastic straps with Velcro closure, bottom straps close with a buckle. Comes with detachable neoprene lining; very easy cleaning.